Despite all of the warnings about birth defects or developmental disabilities caused by drinking alcohol while pregnant, research shows that 1 in 10 pregnant American women, ages 18 to 44, reports drinking alcohol within the last 30 days and about one-third of women who reported drinking in the last 30 days engaged in binge drinking, according to the Centers for Disease Control and Prevention. FAS is relatively rare, occurring in only 0.5 to 2.0 times per 1,000 births in the United States. 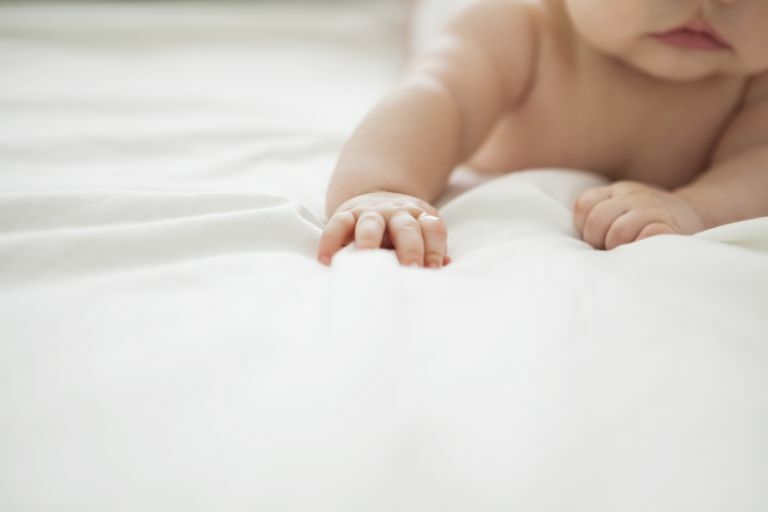 There are other, less severe defects and disabilities, known collectively as fetal alcohol spectrum disorders (FASDs), which occur approximately three times as often as FAS. Here are some of the specific effects that fetal alcohol exposure can produce. A study at the University of Pittsburgh School of Medicine found that children whose mothers drank while they were pregnant, even light to moderate drinkers, recorded lower IQ scores at age 10, compared to children whose mothers did not drink. This was especially true for African-American children. Babies whose mothers continue to drink heavily during pregnancy have smaller skulls and brains compared to babies whose mothers did not drink or those who quit when they found out they were pregnant, a University of New Mexico study found. These infants also had smaller cerebellums, the region of the brain involved in mental, motor and sensory tasks. Heavy drinking, moderate or light drinking can affect the learning and memory capabilities of children also occurs in children whose mothers were light to moderate drinkers, according to another University of Pittsburgh School of Medicine study. A Wayne State University study found that fetal alcohol exposure can cause slower processing and attention speeds even in infancy for babies of heavy drinkers during pregnancy. Researchers found when infants cannot maximize learning efficiency it can cause a cumulative deficit over time, resulting in lower IQ scores and difficulties in learning basic functional and academic skills. When children have other symptoms of FAS, they may also have problems with the sharpness of their vision. Children of mothers who were light, moderate or binge drinkers had a greater risk for poor visual acuity. An Emory University study of 872 infants found mothers who excessively drank and smoked cigarettes were more likely to give birth to a newborn with an infection. Even mothers who did not smoke, but drank alcohol, were more likely to have newborns with infections. The scientific studies mentioned above and many others have shown that alcohol consumption during pregnancy can have negative effects on children. What none of these studies has determined is how much alcohol it takes to produce those negative outcomes. Therefore, it is currently recommended that women stop drinking completely as soon as they find out they are pregnant or if they are trying to become pregnant. Centers for Disease Control and Prevention. "Alcohol Use Among Pregnant and Nonpregnant Women of Childbearing Age --- United States, 1991--2005." Morbidity and Mortality Weekly Report. 21 May 2009. Handmaker, NS, et al, "Impact of Alcohol Exposure After Pregnancy Recognition on Ultrasonographic Fetal Growth Measures." Alcoholism: Clinical & Experimental Research. May 2006. Latin-Martel, P. et al. "Maternal Alcohol Consumption During Pregnancy and Risk of Childhood Leukemia: Systematic Review and Meta-analysis." Cancer Epidemiology, Biomarkers & Prevention. May 2010. Willford, JA, et al, "Moderate Prenatal Alcohol Exposure and Cognitive Status of Children at Age 10. "Alcoholism: Clinical & Experimental Research. June 2006. Youngentob, SL, et. al. "The Effect of Gestational Ethanol Exposure on Voluntary Ethanol Intake in Early Postnatal and Adult Rats (PDF)" Behavioral Neuroscience. December 2007.